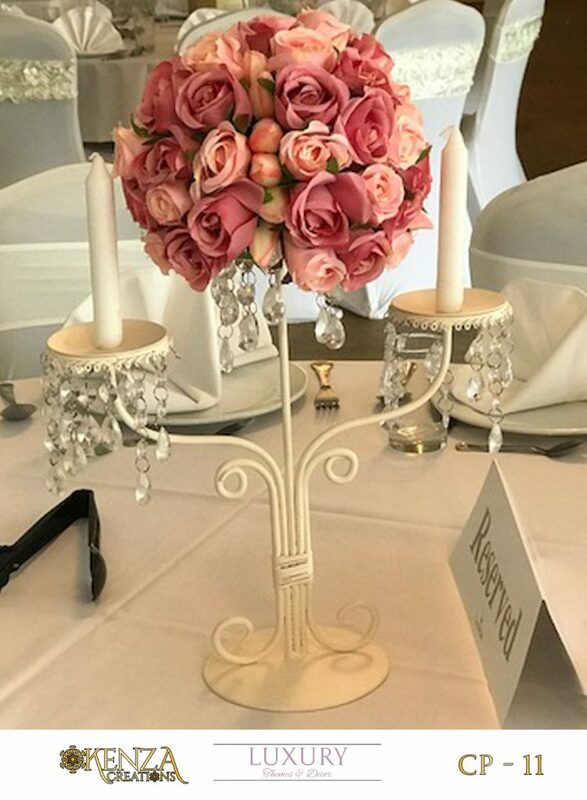 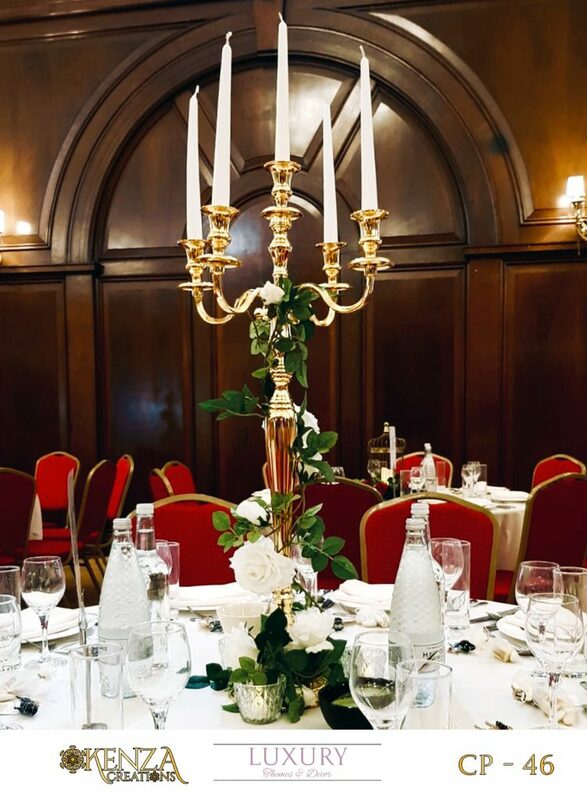 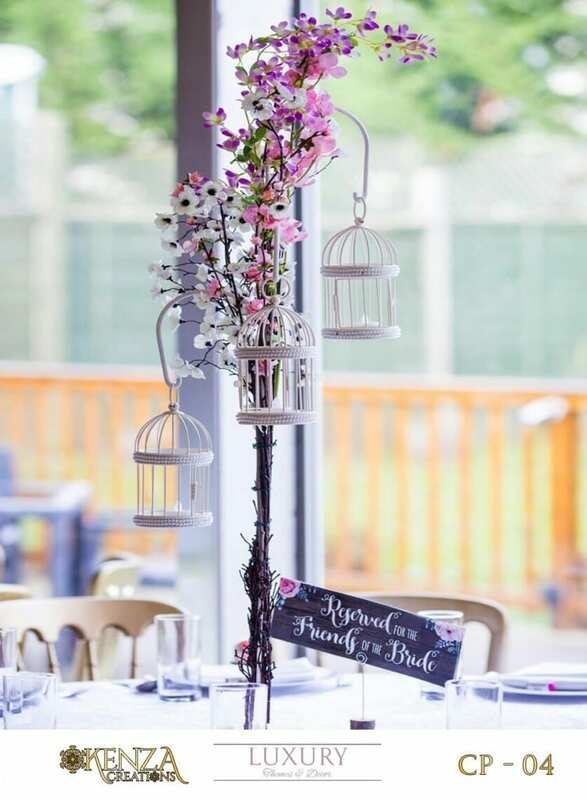 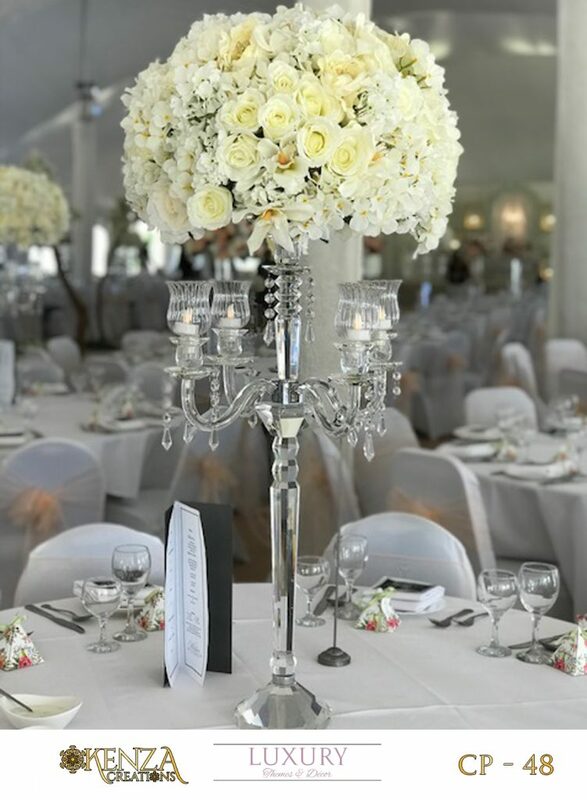 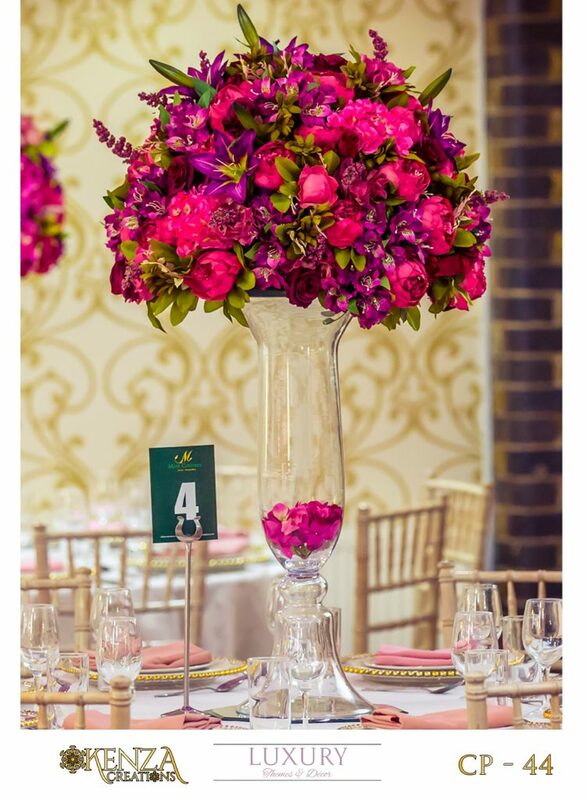 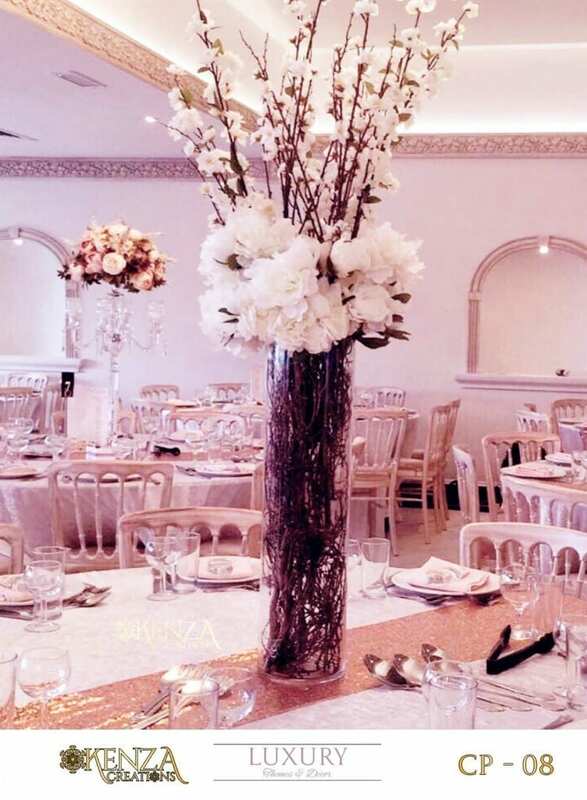 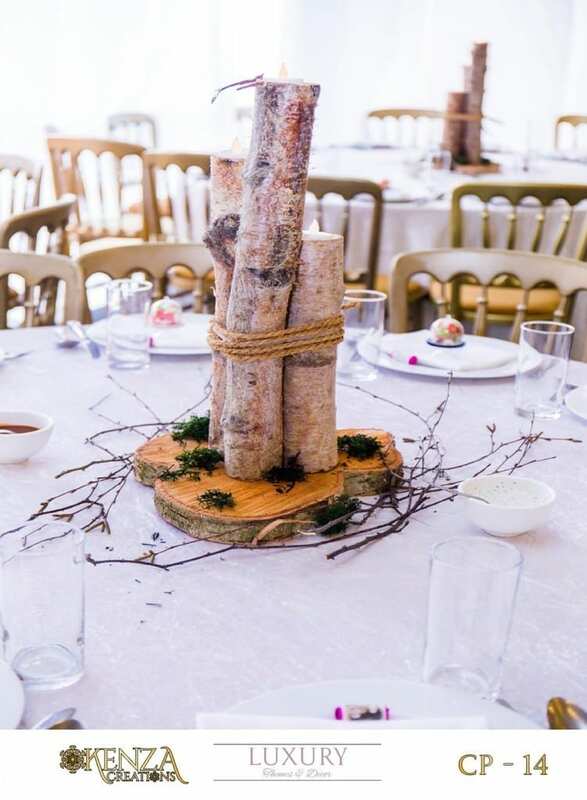 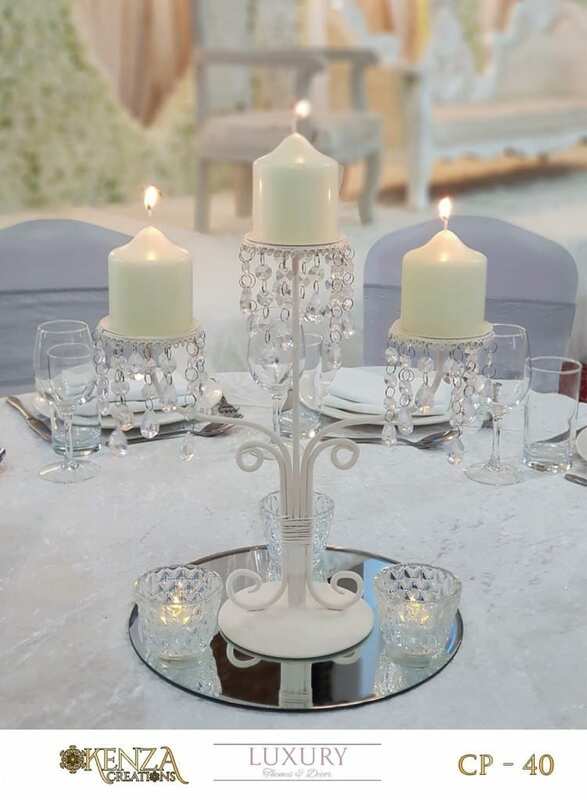 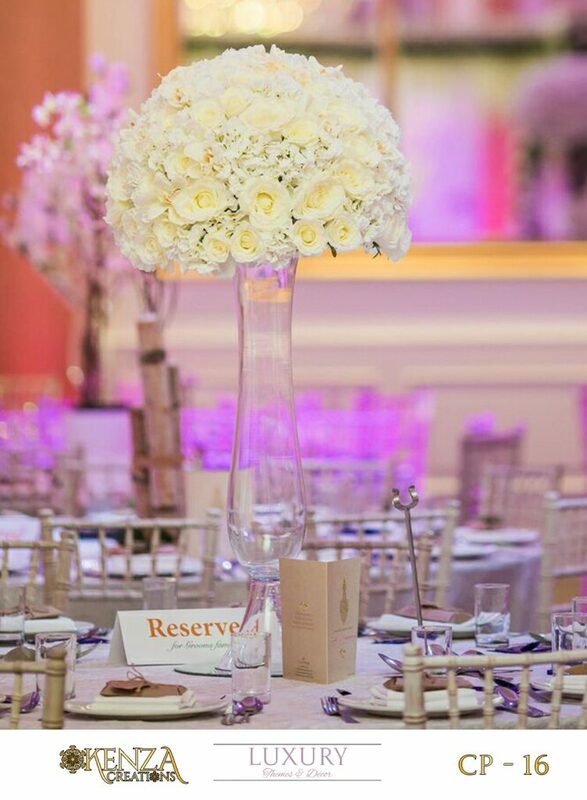 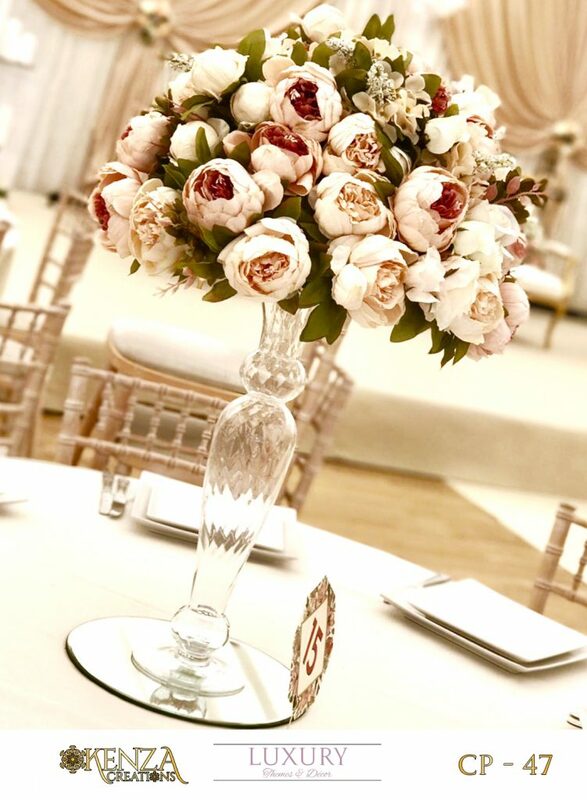 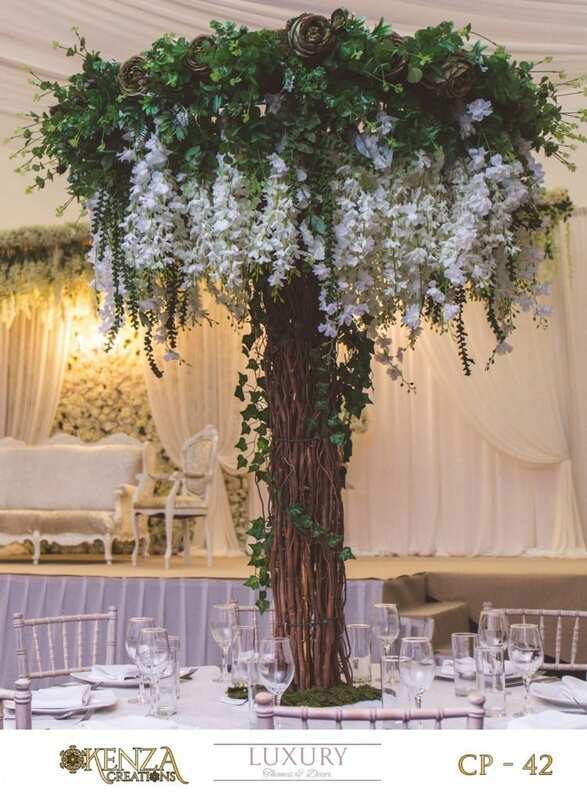 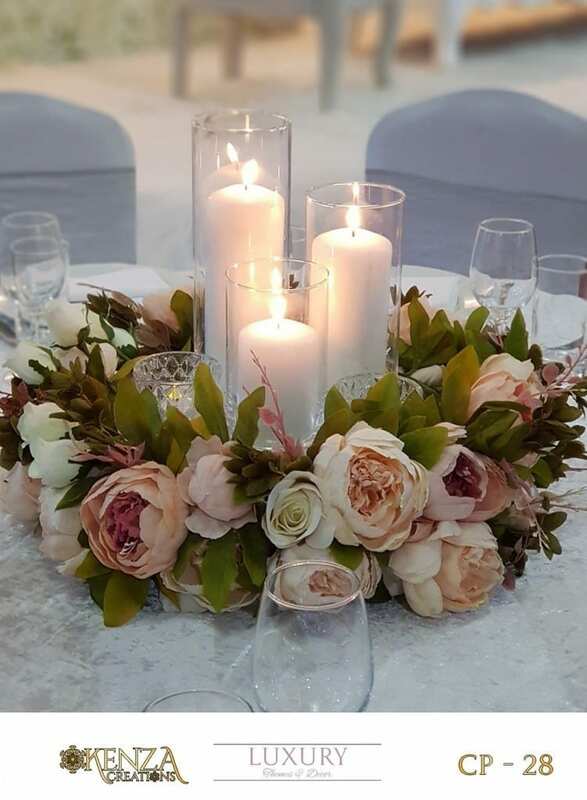 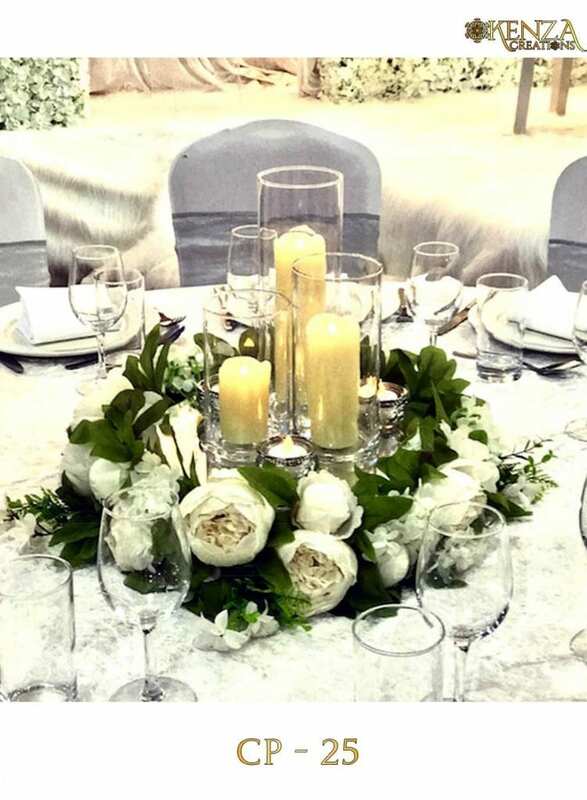 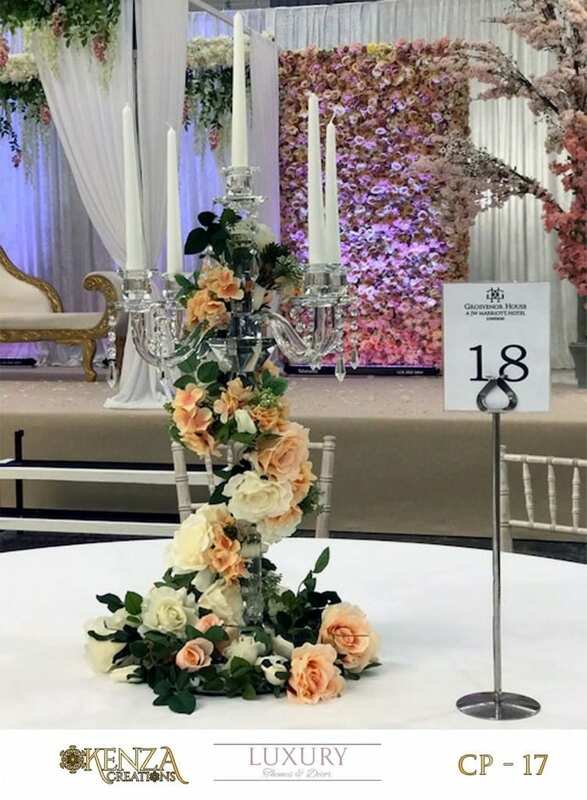 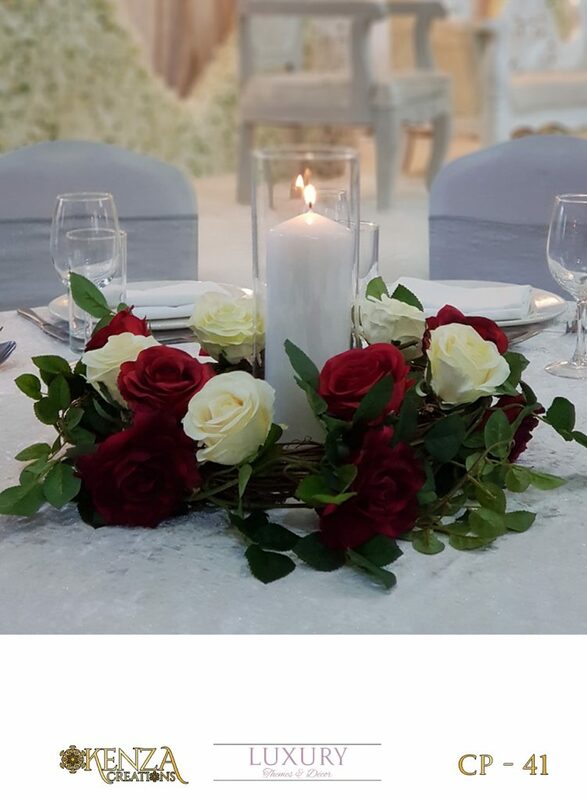 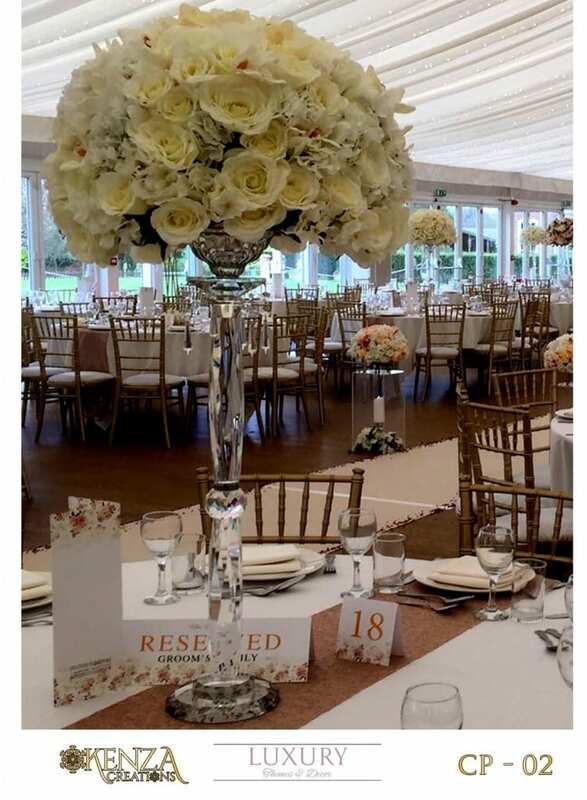 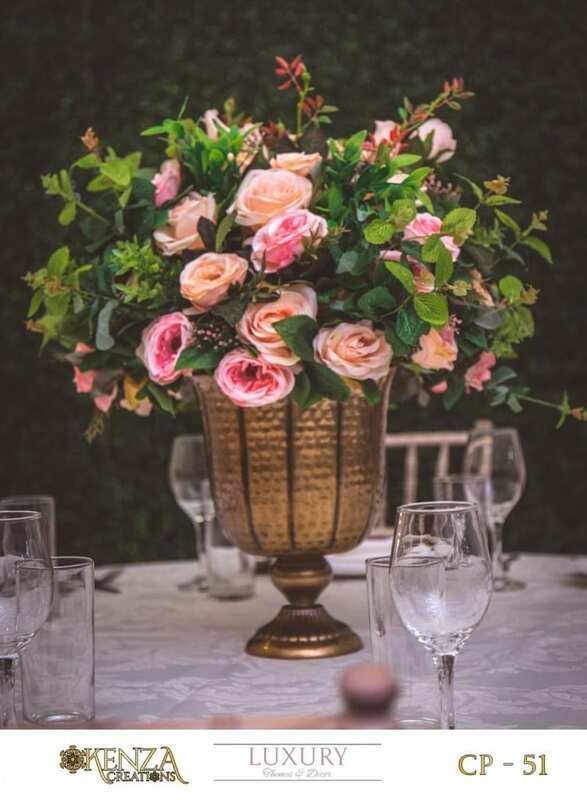 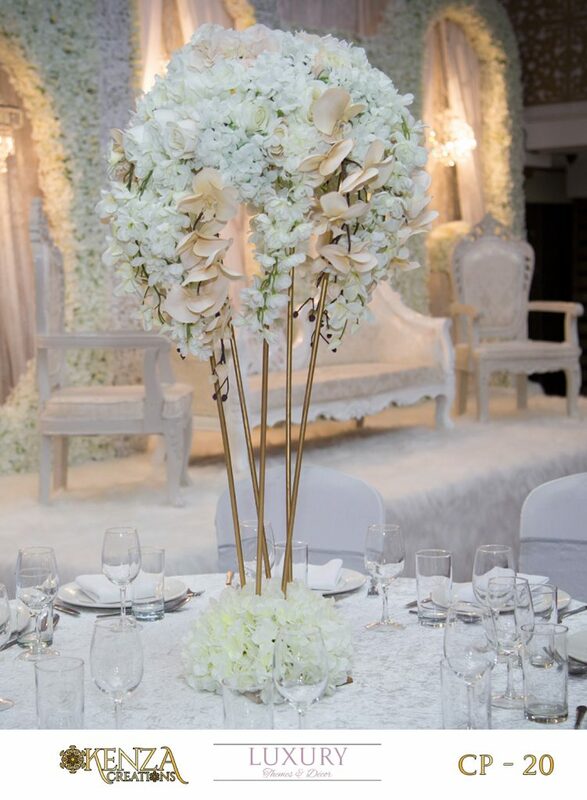 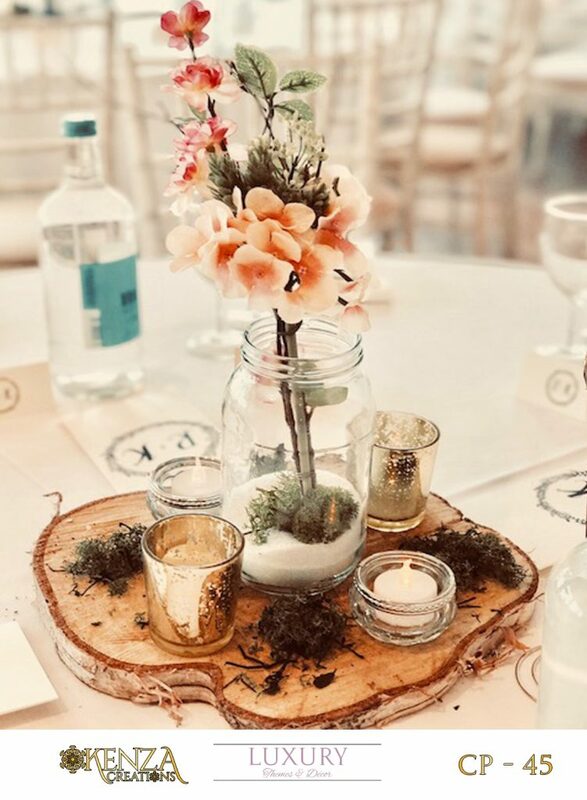 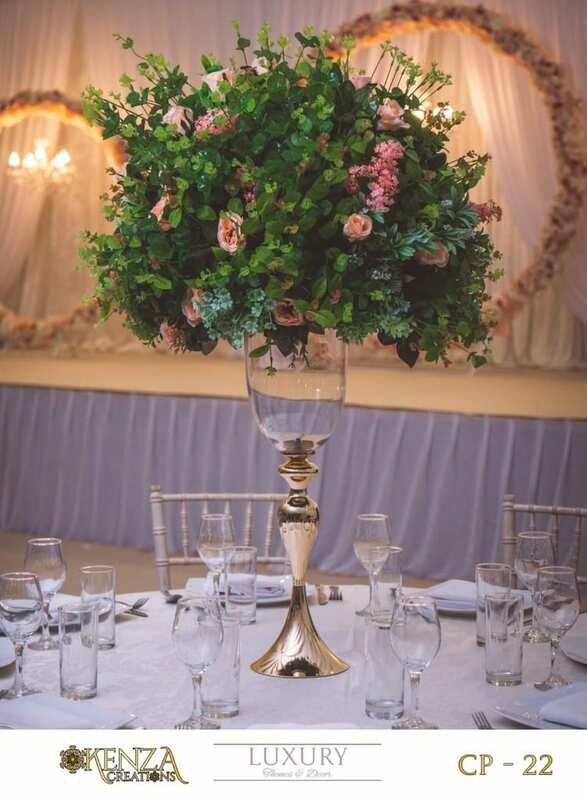 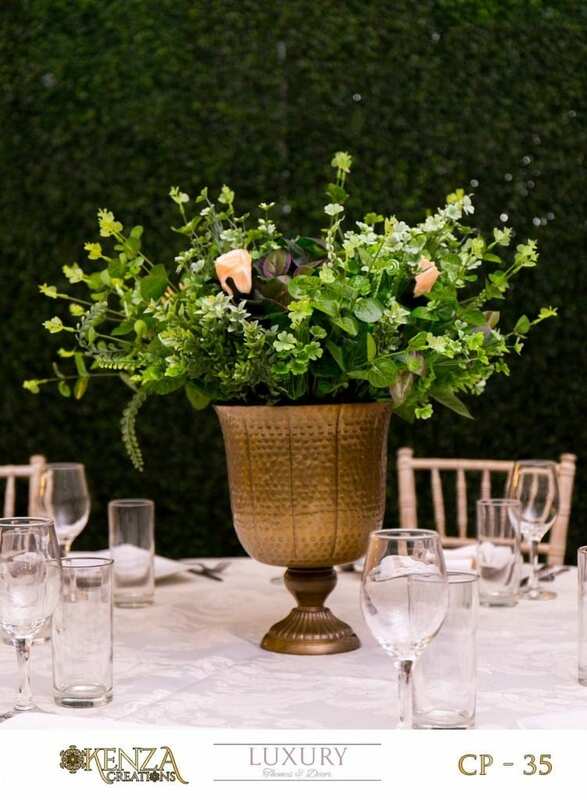 We have our own in-house centrepiece design team and we also work with highly professional and experienced florists to create bespoke pieces to go with the rest of your decor at your wedding, party or any other event. 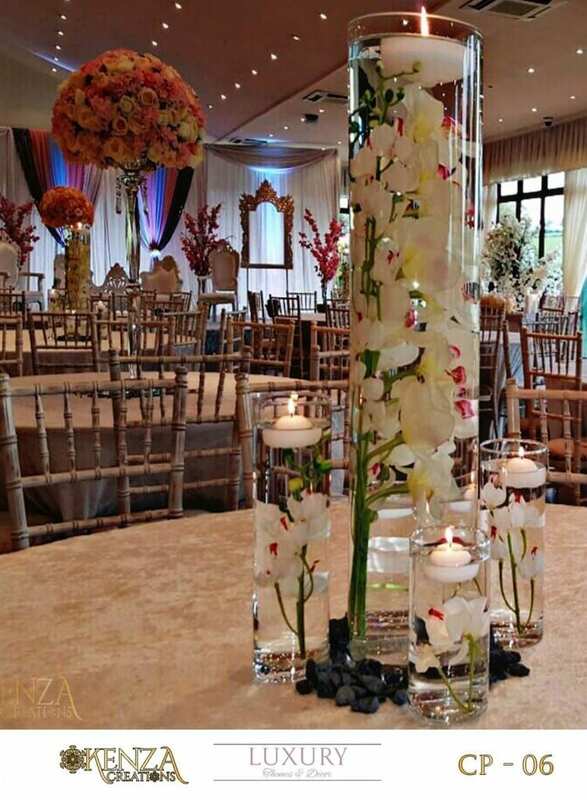 Roses, peonies, orchids, hydrangeas, lilies and more! 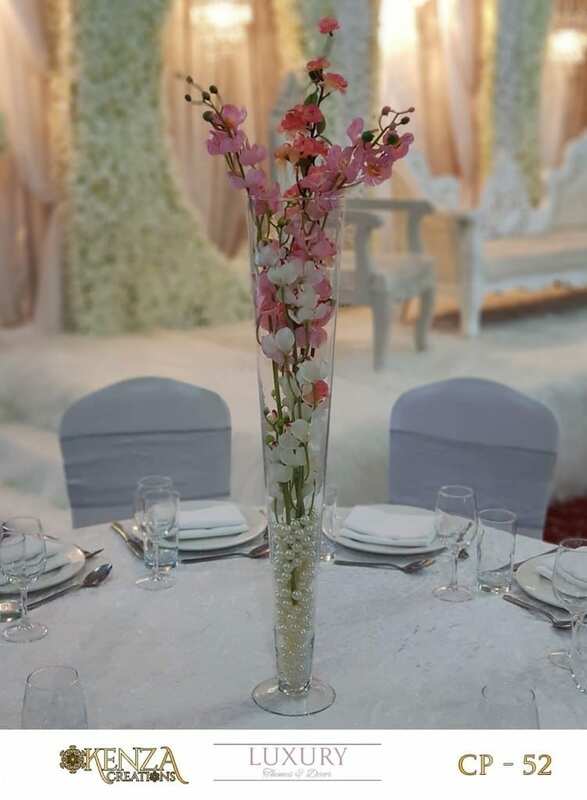 We’ll create the floral magic that you are looking for. 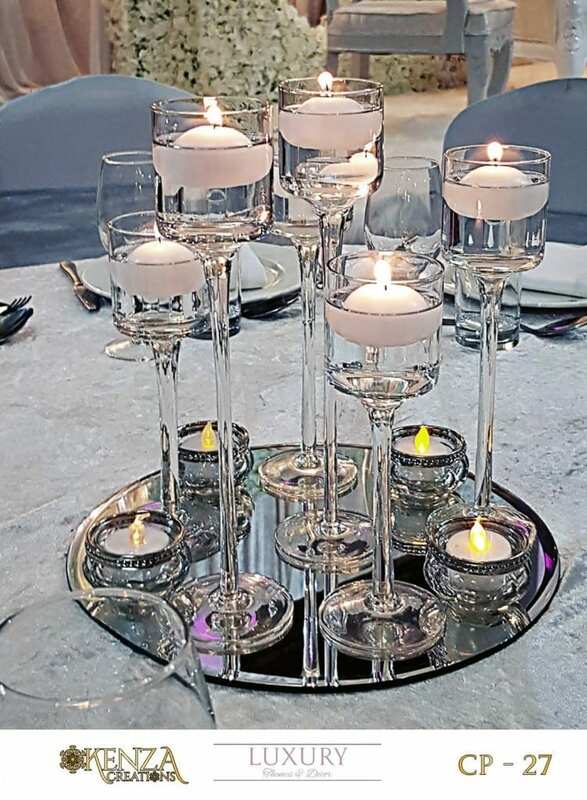 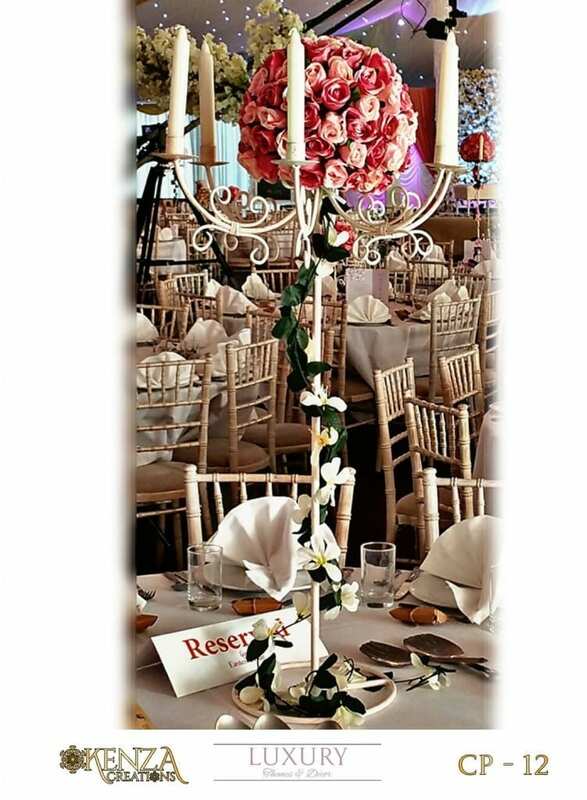 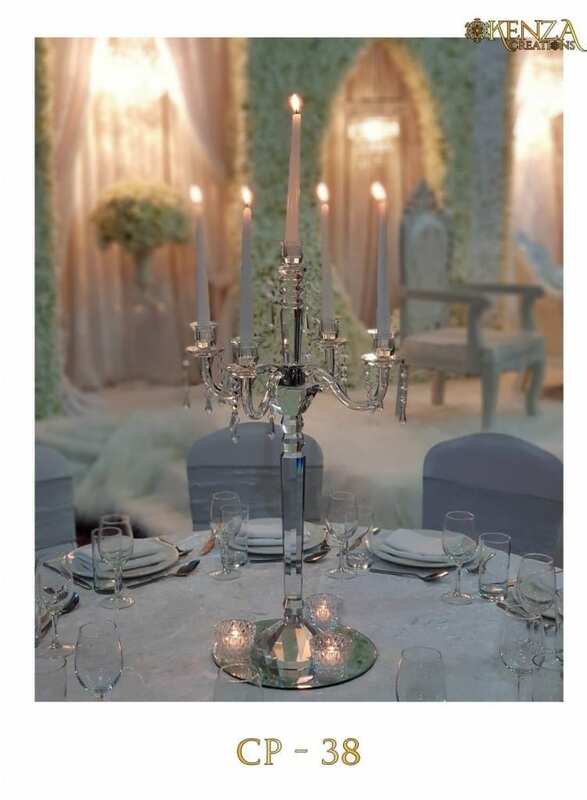 Candelabra’s, flower stands, candle holders, blossom trees and vases to name a few. 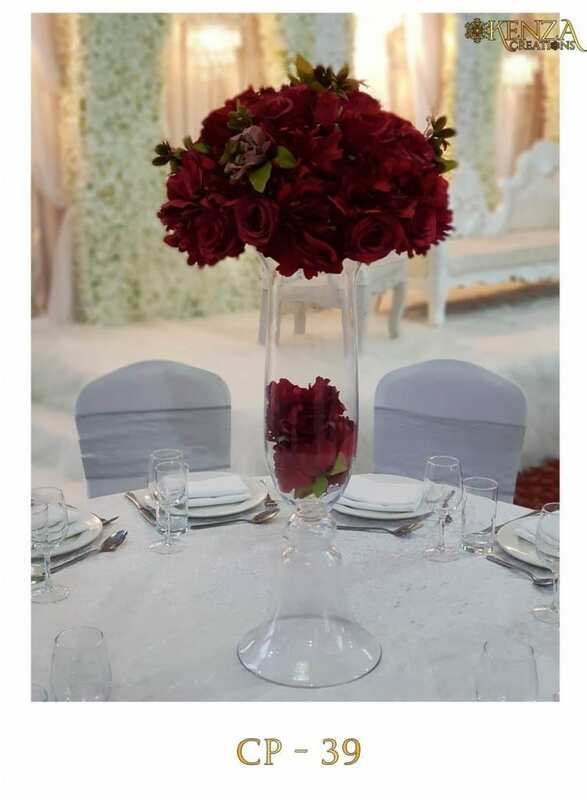 Give us a call and we’ll create it for you. 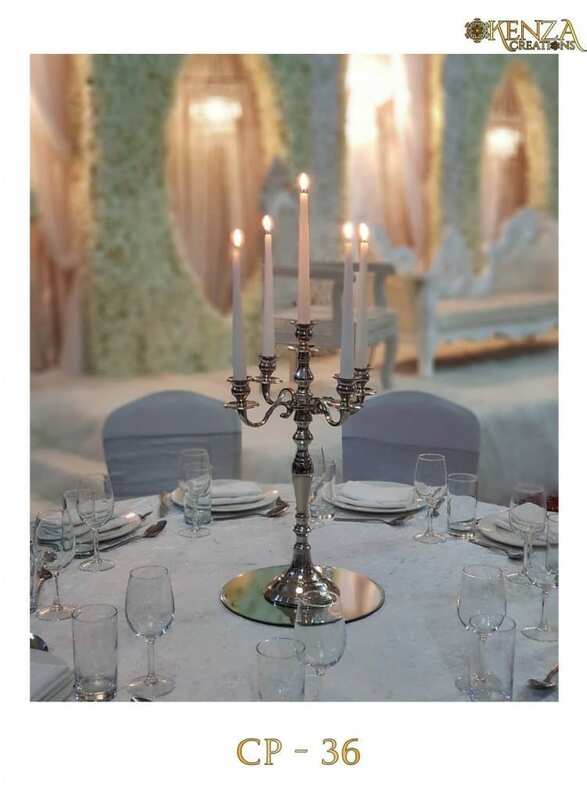 The most exciting part of the pre-wedding preparation is planning the colour scheme and decor. 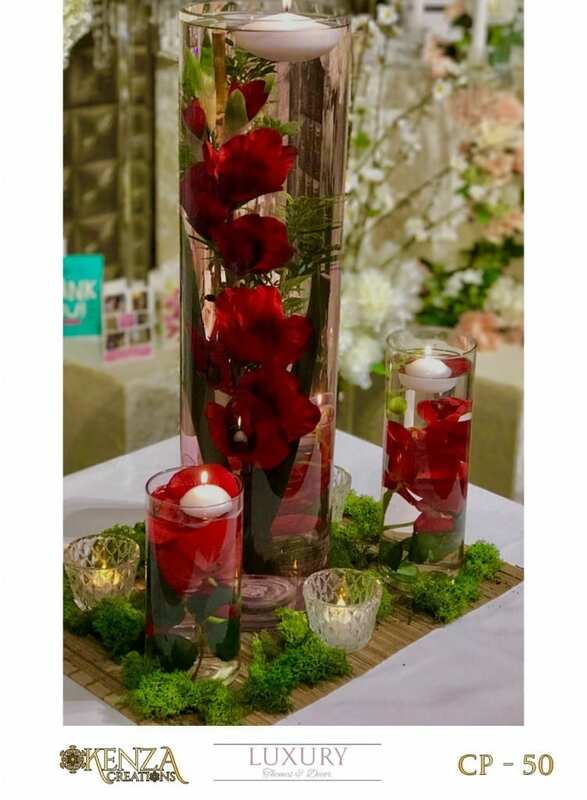 And a crucial part of the decor is setting the mood with the wedding table decorations. 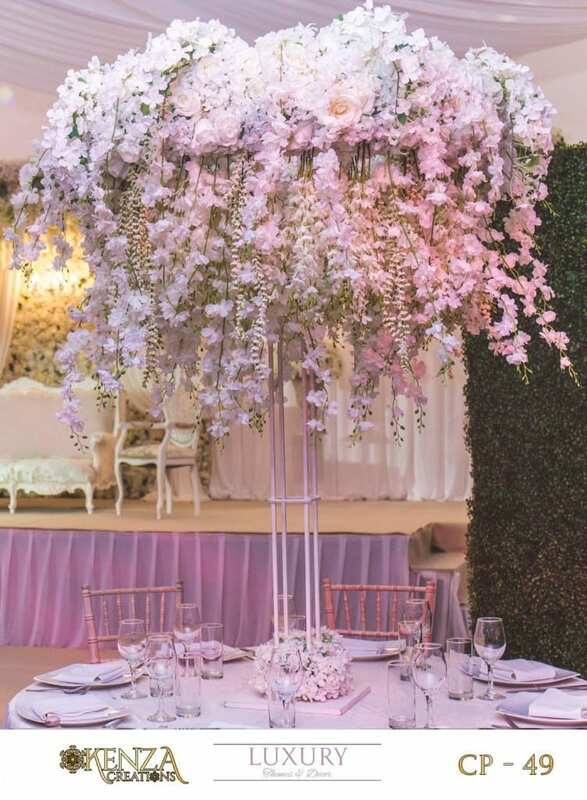 Are you tired of the traditional floral decor but short on ideas when it comes to potential alternatives? 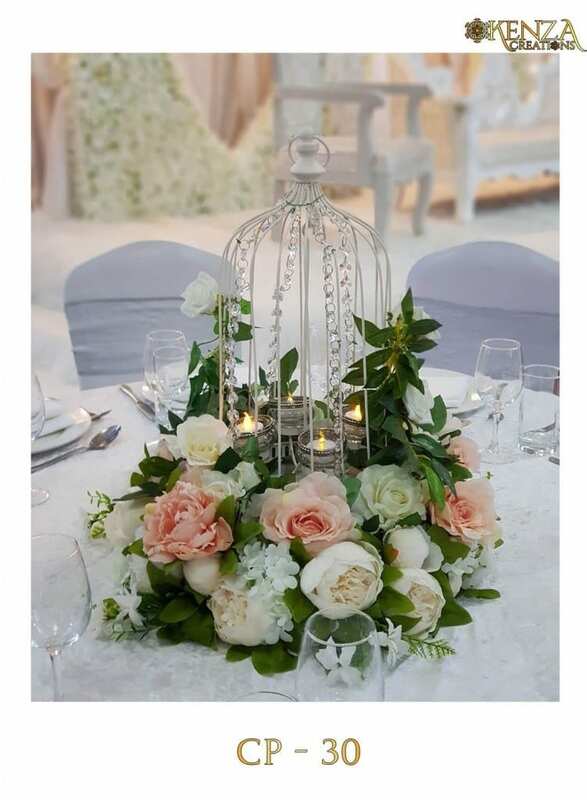 Here are some ideas to inspire you when choosing your wedding table decorations. 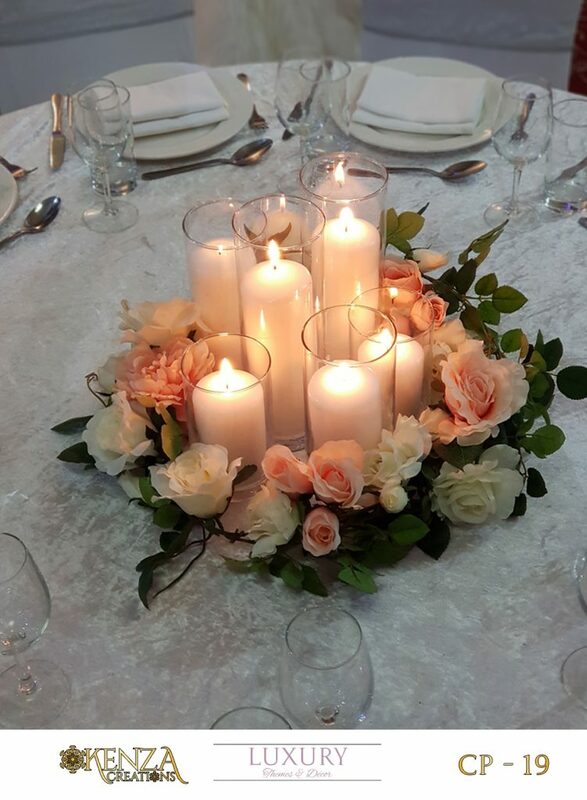 An effective way to liven your wedding is to use candles as mood lighting. 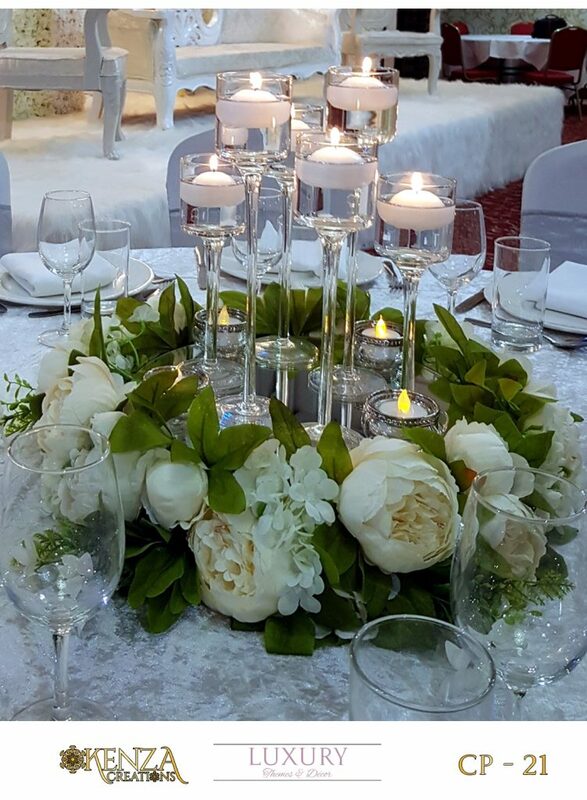 Try placing candlesticks of varying heights around flowers in the center of the table. 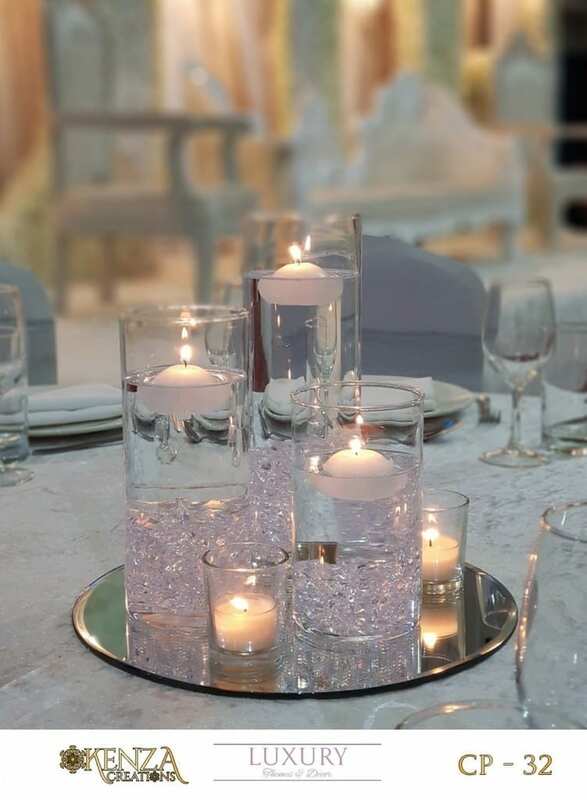 Mood lighting is even better when it is an outdoor wedding – this can create a breathtakingly beautiful glow as the sun sets. 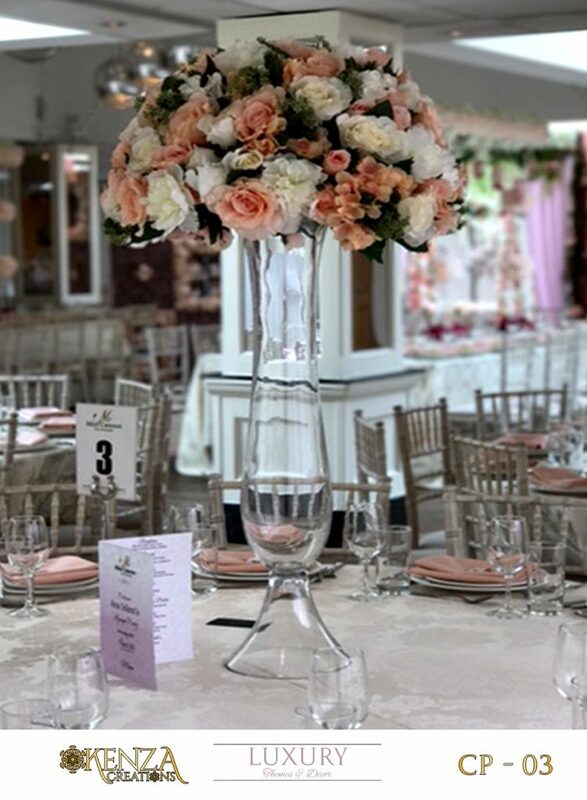 Another brilliant idea to explore when consulting with your wedding centerpiece hire service is the option of using floral bouquets that offer something more than just traditional colors. 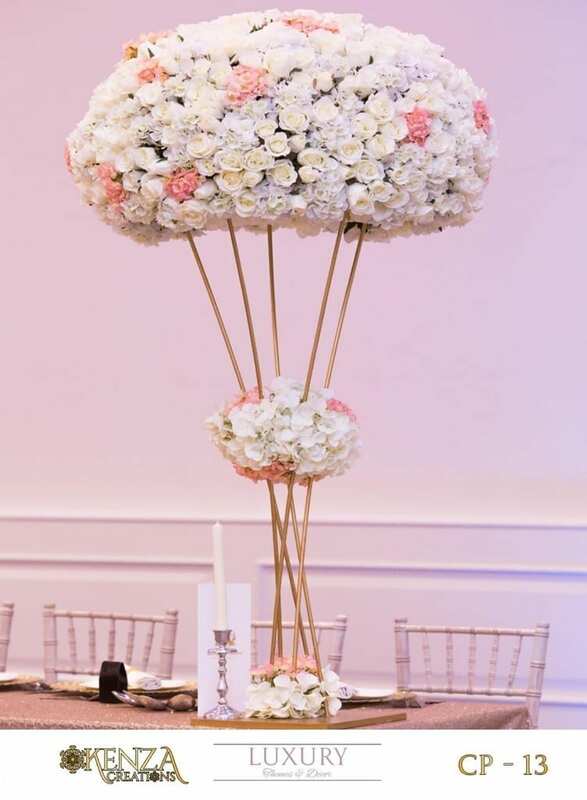 Try blooms that come in bold and beautiful colors like white, tangerine and shades of pink. 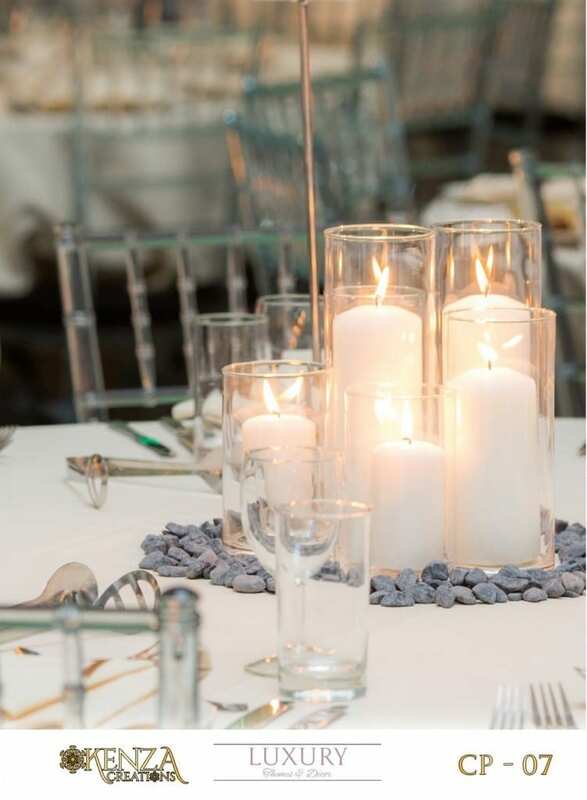 If you plan on having an intimate wedding dinner with a long table instead of many round ones, use table runners. 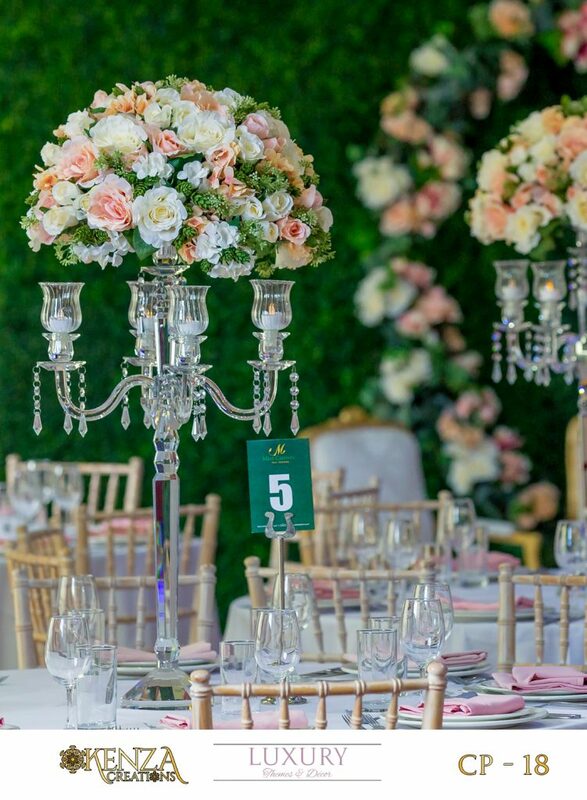 Let the beautiful fabric complement the lights or hanging lanterns above your guests’ seats to create the perfect balance. 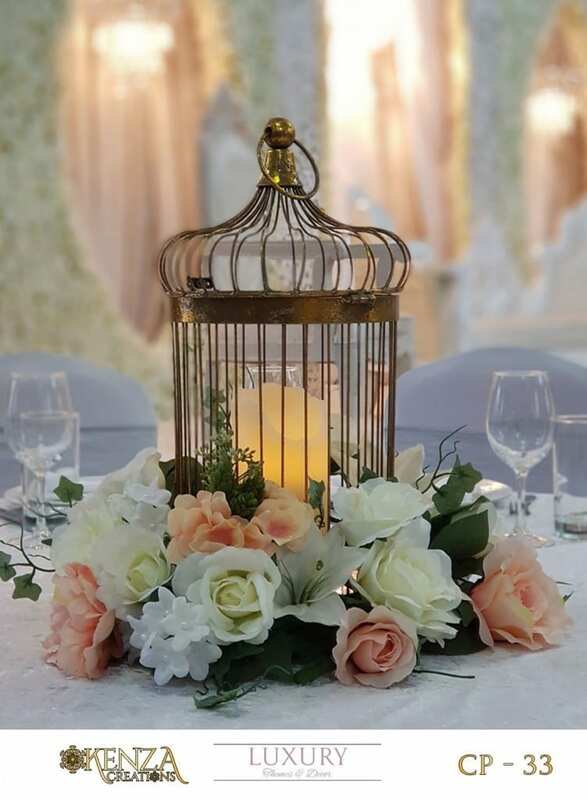 When it comes to lanterns, consider alternating geometric shapes and intricate designs to create a whimsical and magical atmosphere. 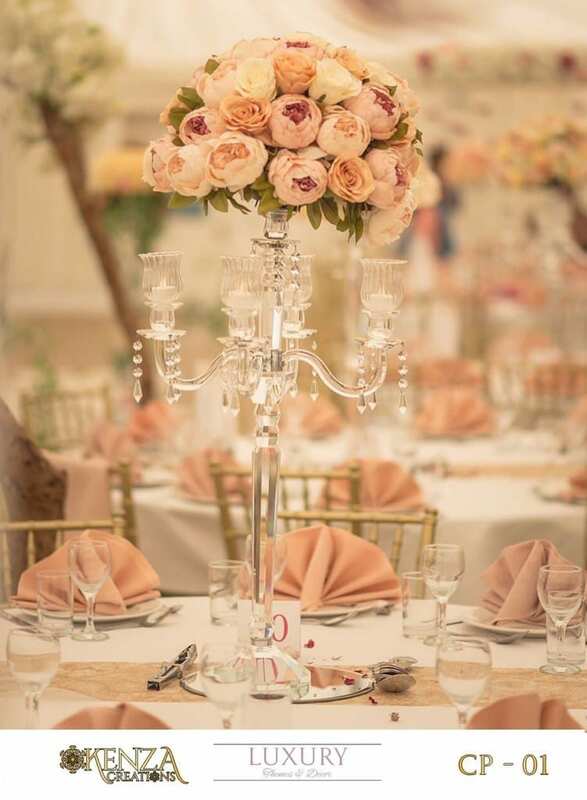 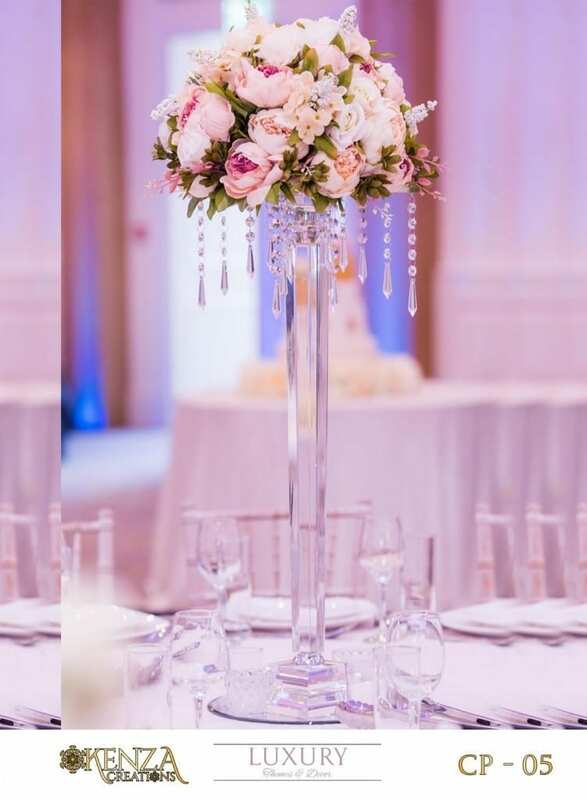 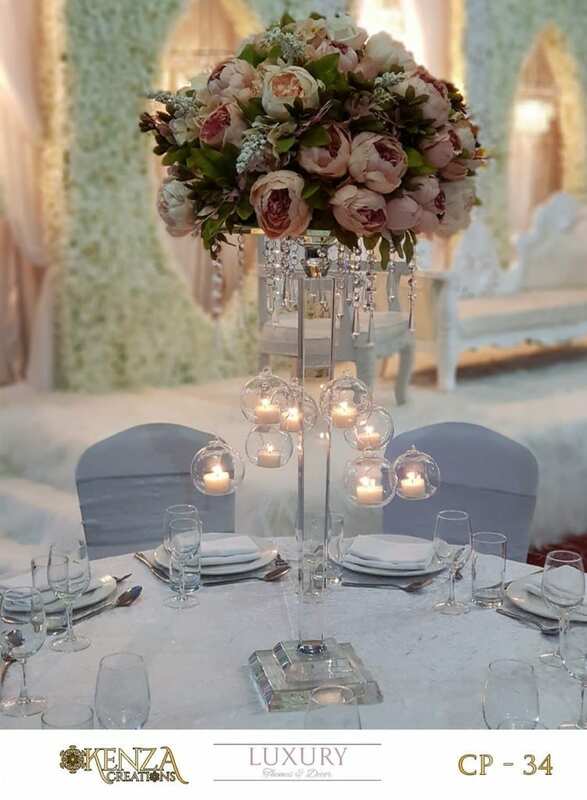 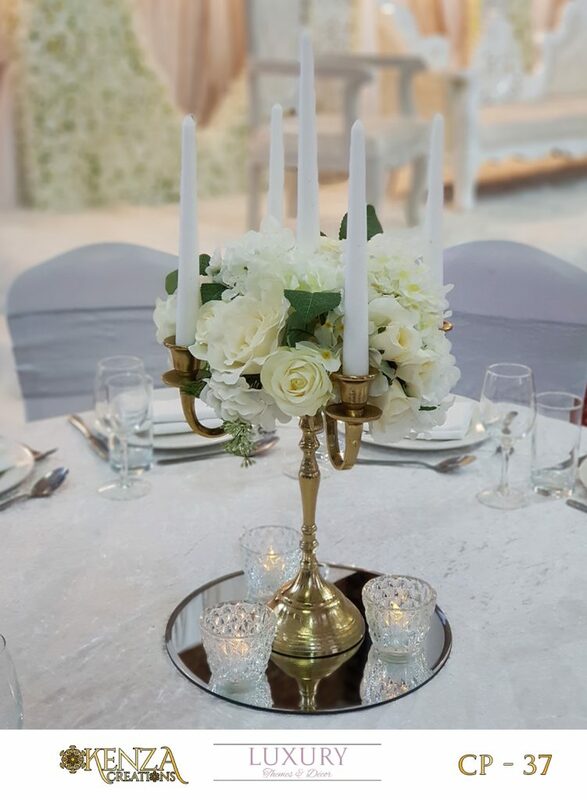 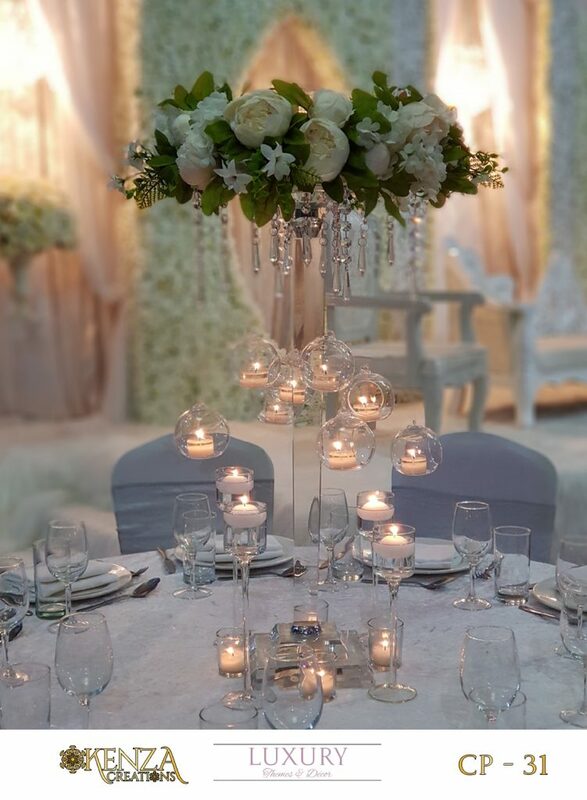 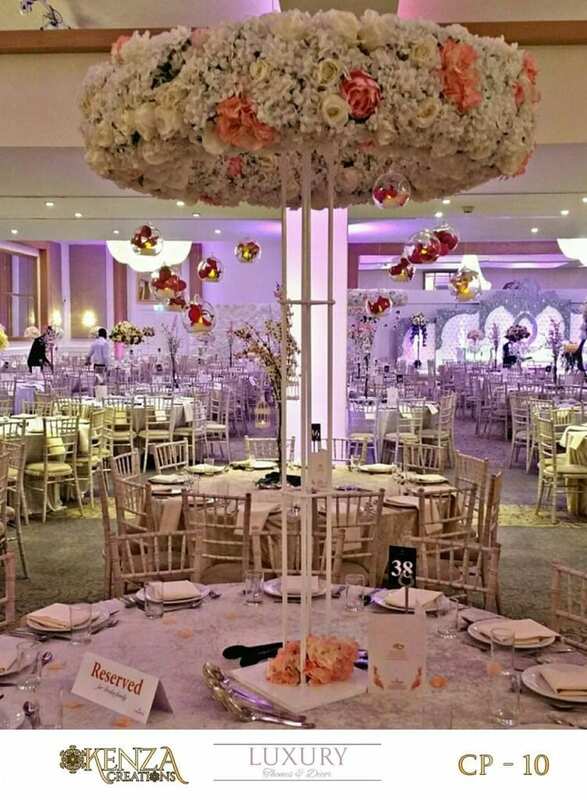 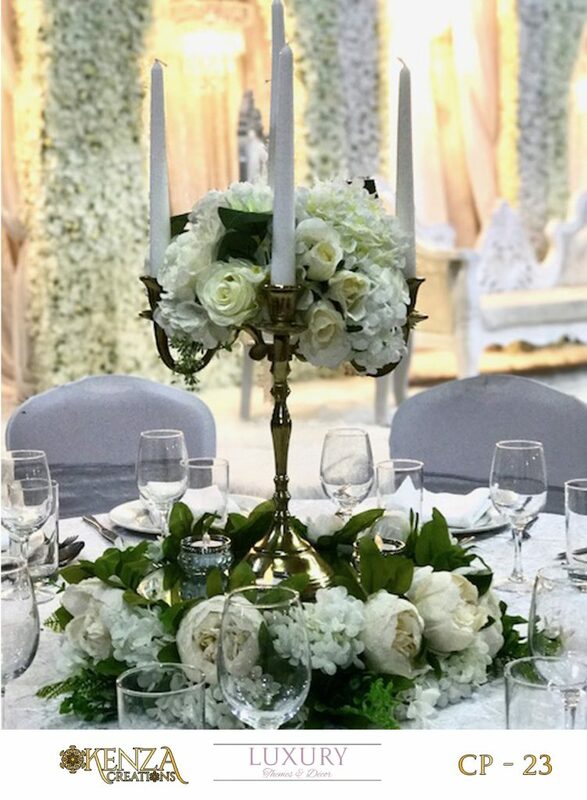 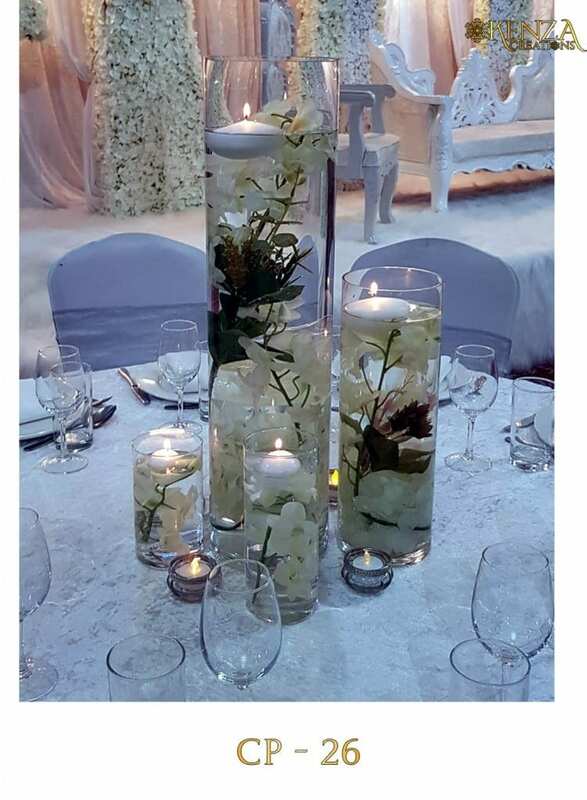 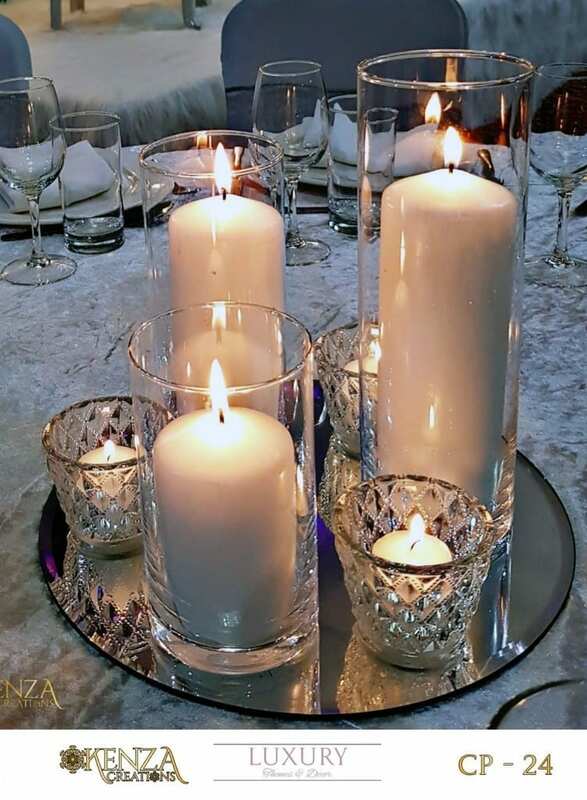 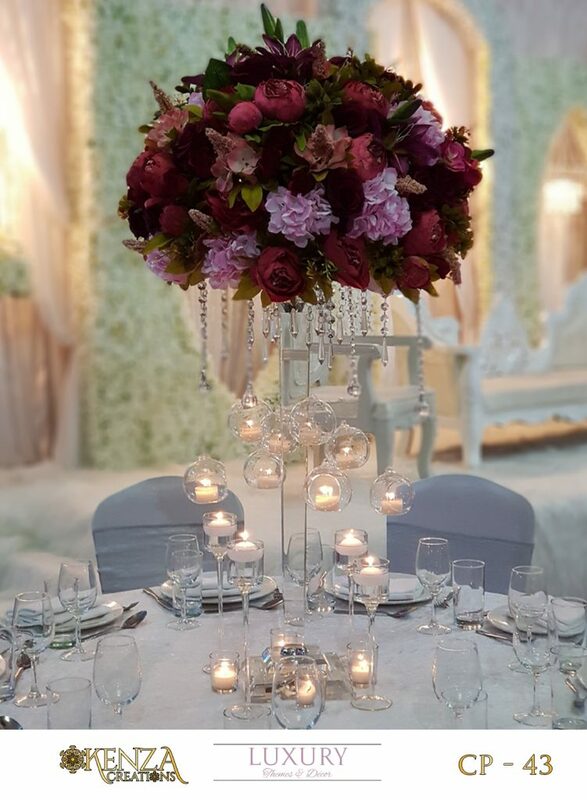 When you are looking for any of these things or need more inspiration, Kenza Creations offers a stunning wedding centerpiece hire service. 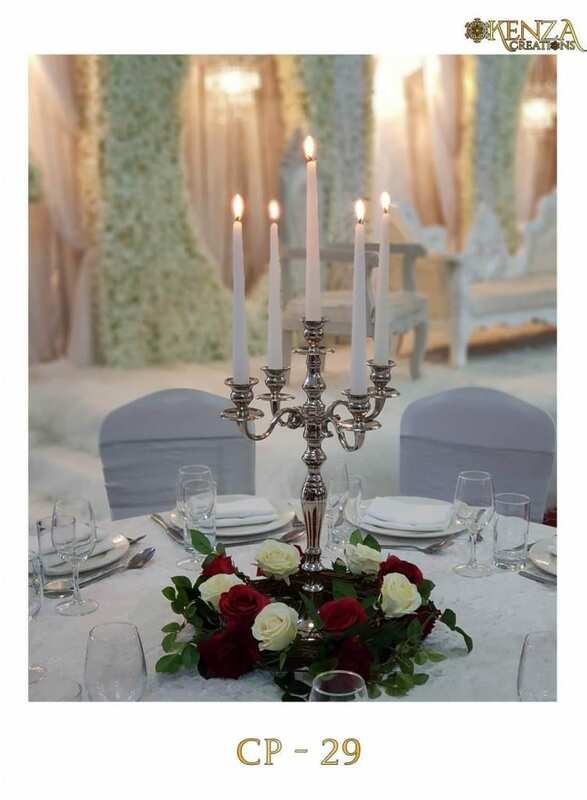 Regardless of your choice, we can provide you with the best products and services for minimum hassle.